Hair transplants are a popular procedure undergone by thousands of hair loss sufferers each year. However, this method does have a number of drawbacks to be aware of, including scarring. In this article, I’ll discuss the prevalence of hair transplant scars. This will include a look at their cause, possible prevention methods, and ways to treat them. In simplest terms, a hair transplant involves the removal of hair follicles from the donor site and transplantation to the recipient site. This is a popular method for the “treatment” of hair loss and has been in use for decades. Follicular unit transplantation is a method that involves the removal of a lateral strip of hair follicles from the donor site. Once this strip is removed, it is dissected and split into smaller individual grafts. The pros of this procedure are mainly the amount of time that it takes. Compared to FUE, FUT can be completed in fewer sessions. This means larger areas of hair loss can be covered more quickly, and the cost will be lessened. The cons, however, include a longer period of recovery and a higher risk for visible, lateral scars. Follicular unit extraction is a more involved process that involves the removal of individual grafts from the back of the scalp. These grafts are then transplanted in the area of the scalp with hair loss as the above method. The major pro of this method is there are no cuts or stitches, and this significantly shortens recovery time. Additionally, this means that scars will be non-existent or, if they do appear, small and barely visible. The two main cons of this method are time and cost. While recovery time is reduced, this is because the procedure itself takes much longer than FUT. Depending on the severity of your hair loss, you may need to go back for multiple sessions. This will further raise the cost of the already costly procedure. I would like to point out that these side effects are more common for FUT due to the more invasive nature of the procedure. In addition to the above, another problem commonly faced by hair transplant patients is scarring. 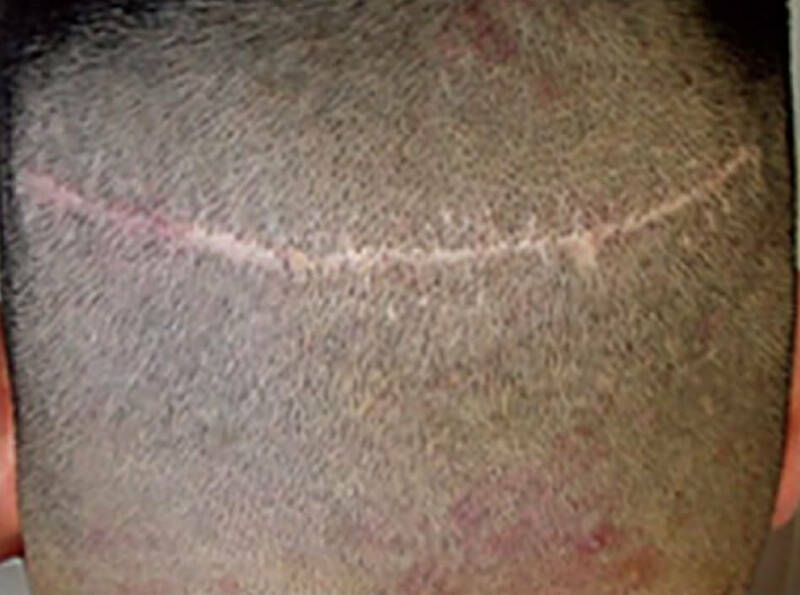 Transplant scarring can be as severe as a full-width lateral scar on the back of the scalp, or as minor as follicle-sized scars in the donor area. Let’s take a closer look at their cause and possible prevention methods. A linear scar as a result of Follicular Unit Transplantation. Source. Scars are a natural healing response by the body, and they can occur as a result of accidents, diseases, skin conditions (including acne), and surgery (in the case of transplants). 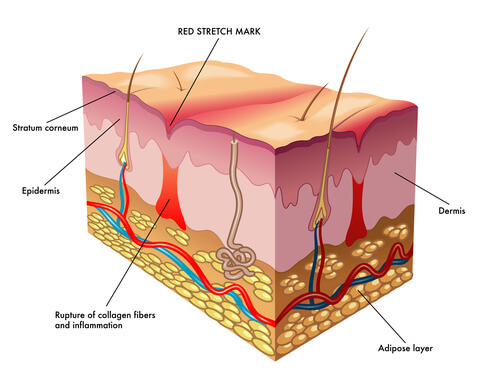 When the dermis (top layer of skin) is damaged, a protein known as collagen is sent to the area. New collagen fibers form, and this leads to a flat dermal structure that is differently textured and paler than the surrounding skin. In extreme cases, the scar can be raised. In certain cases, the scar may disappear over time. However, this is unlikely with surgical scars. 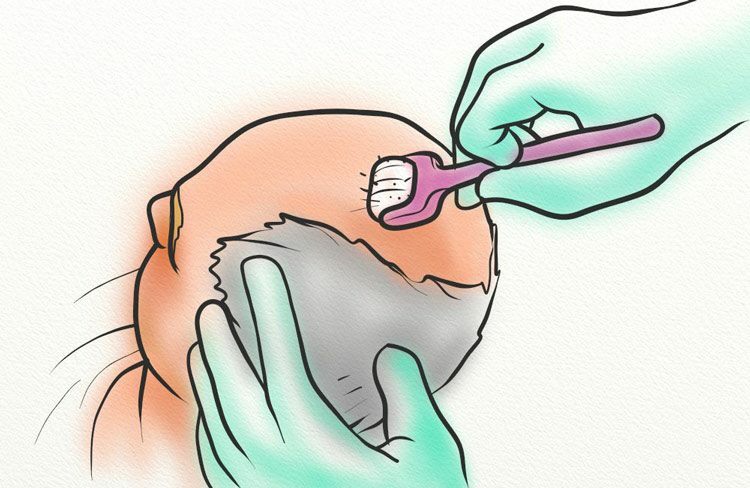 As a medical procedure involving incisions, anyone can develop scars as a result of hair transplantation. Of course, some individuals are at more risk than others. But what factors can put you at a higher risk? It’s well documented that as people age, their ability to heal is delayed. This is due to a an impaired inflammatory response, and delayed healing may put you at risk for developing a scar. There are only a limited number of genes which contribute to scarring factors, such as contraction and pigmentation. With this in mind, your genes can play a significant role in how your wounds heal and whether scarring will occur. In addition, certain genetic conditions can also contribute to scarring and may make it more difficult to prevent scars. Other factors that play a role in the development of a scar include the size and depth of the wound, and how well you care for the wound post-procedure. However, even these can be tricky in determining whether you’ll develop a scar or not. So, is it possible to receive a hair transplant and prevent scarring from taking place? When using FUT, this is very unlikely. As the procedure requires a lateral incision and, typically, stitching, the likelihood of scarring is high. On the other hand, scarring is much more unlikely with the FUE method, as incisions are very tiny and don’t require any type of adhesive (glue or stitches) to close. But what if FUT is the method that is best for your situation? While you can’t entirely do away with scarring, you can minimize the scar and lessen its appearance. Here’s how. The formation of scar tissue varies widely by individual. Some may experience scarring from the slightest wound, while others may heal more quickly and see little to no scarring following a surgery. 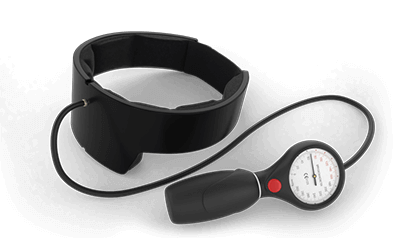 While researchers don’t know exactly why this occurs, one way you can improve your odds of a less visible or non-existent scar is by stimulating blood flow to the area. During the healing period, I recommend performing a gentle massage. You can use your fingertips or your palm, but apply light pressure and rub in a circular motion. Another technique, once the healing period has ended, is to gently stretch the scar outwards. You can place a fingertip on either side of the scar, and pull out. This will keep adhesions from forming. I also recommend you moisturize the scar to prevent cracking or sores. This will obviously make the scar more visible, and it can also cause more scarring in the long run. If you’ve undergone a transplant and have scarring as a result, you may be wondering what you can do to treat the scar. While these methods are unlikely to get rid of the scar completely, they can lessen its appearance. Topical treatments are a popular choice for soon after the procedure (as they can speed healing and prevent scarring), but they can also be used long after the procedure to lessen the scar’s appearance and ease any tension, pain, or irritation. 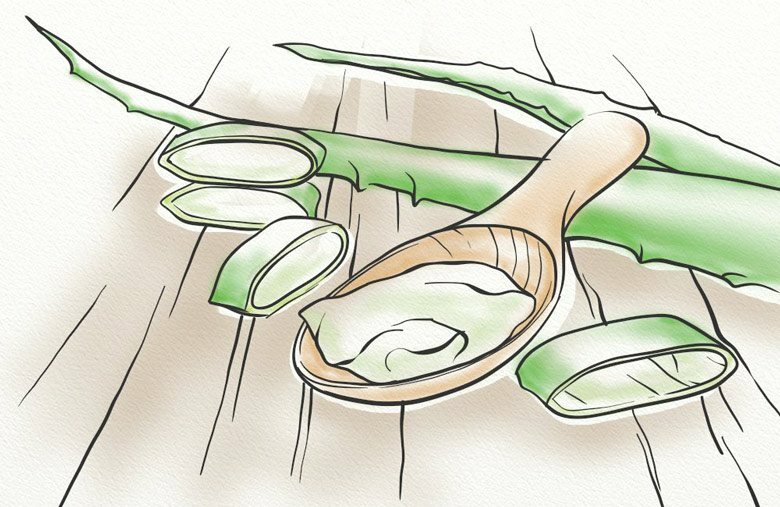 Used commonly in the treatment of sunburns and superficial wounds, there is much to suggest that aloe vera is also a beneficial treatment option for scars. The main benefit of aloe vera use is its anti-inflammatory properties. As inflammation surrounding the scar is reduced, the damaged skin cells can better heal. In addition, aloe vera moisturizes the skin and increases the collagen present in the affected area. This can further repair the scar and reduce its appearance. For a double-pronged approach, I recommend you apply the aloe vera topically and take it supplementally. This can hasten the healing process, and you may see improved results. Vitamin K is an essential vitamin, and one that’s used to synthesize proteins for the coagulation of blood. The majority of individuals don’t suffer from a Vitamin K deficiency, but topical application to scars and wounds can be beneficial anyway. While more beneficial as a preventative, Vitamin K can be used to assist in the process of healing. As a result, the appearance of scarring may be minimized. As a moisturizer, mineral oil can be a beneficial addition to any hair growth routine. However, the hydration is provides can also prevent further scarring of the surrounding tissue, and keep your scar flexible and free from irritation. To apply, pour onto your fingertips and massage gently into the scar. Of course, you can also apply to the rest of your scalp. A treatment that I’m particularly fond of, apple cider vinegar is a great option for those wanting to treat hair transplant scars. 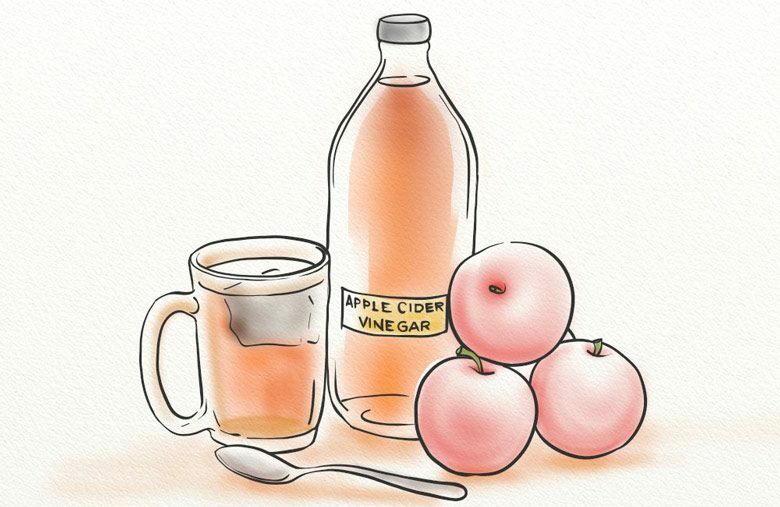 The most beneficial of aspect of apple cider vinegar in the treatment of scarring is the presence of malic acid and lactic acid. Both of these are natural skin exfoliators, meaning you can smooth and soften the skin. 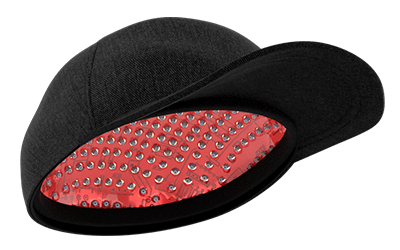 In addition, their effects will reduce redness and inflammation that’s common with scarring. 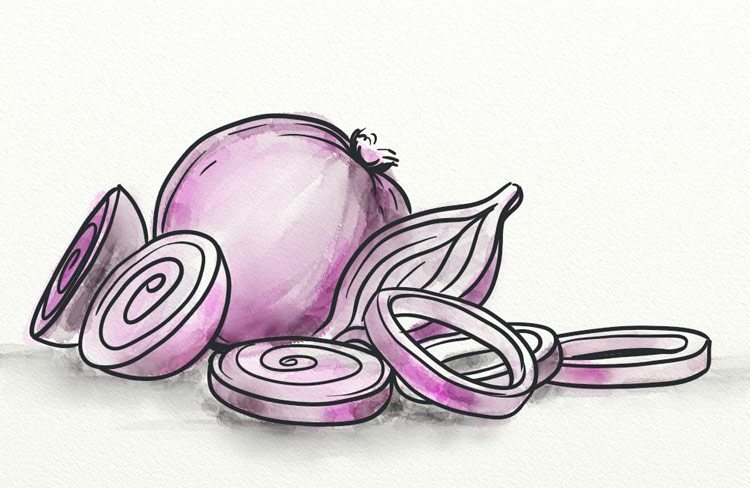 Perhaps an unlikely option, onion juice and extract actually contain antifungal, antibacterial, and anti-inflammatory properties that make it a great choice in the treatment of scarring. Another topical treatment option is emu oil, an oil that’s been in use for over 40,000 years. 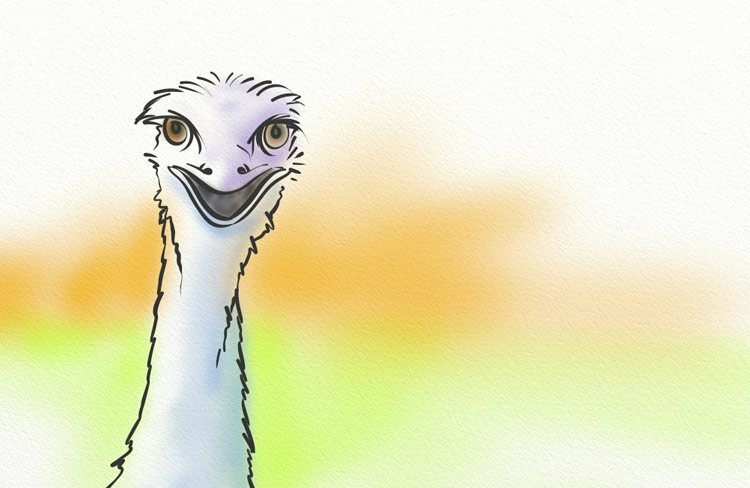 Used commonly as a salve for small wounds, emu oil works by moisturizing the area and penetrating deep into the skin. In fact, it even outperformed mineral oil! Whether raised or depressed, dermabrasion can help to reduce the appearance of scars through a process involving removal of the top layer of the dermis. Essentially, dermabrasion uses a rapidly rotating tool to soften and smooth rough edges of the skin. 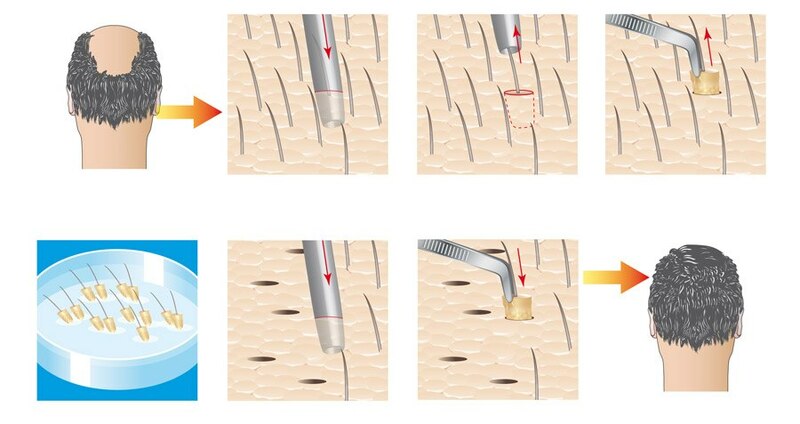 This leads to removal of superficial skin layers which, over time, can completely remove the scar (depending on depth). This procedure should only be practiced by a licensed dermatologist to prevent further scarring or injury. A good option for depressed scars (which is common with those caused by surgery) are filler injections, also known as soft-tissue fillers. There are a few different fillers used by dermatologists, though the two most common are hyaluronic acid and a collagen-inducing synthesis. The filler is injected into the scarred area of skin with a small needle, and a few injections may be required for the desired effect. With the collagen injection, an allergic reaction can be a concern. This is why many dermatologists have begun using hyaluronic acid instead, though your dermatologist can help you pick the best one for you. A dermatological technique that I recommend highly, microneedling involves the intentional wounding of an area of skin. 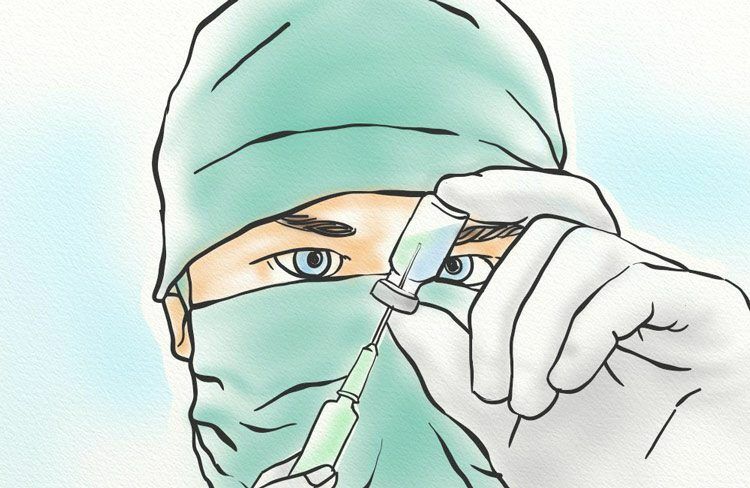 The wounds are tiny – created by needles – and should cause no pain. However, they still stimulate collagen production and blood circulation to the area which can lessen the appearance of the scar. 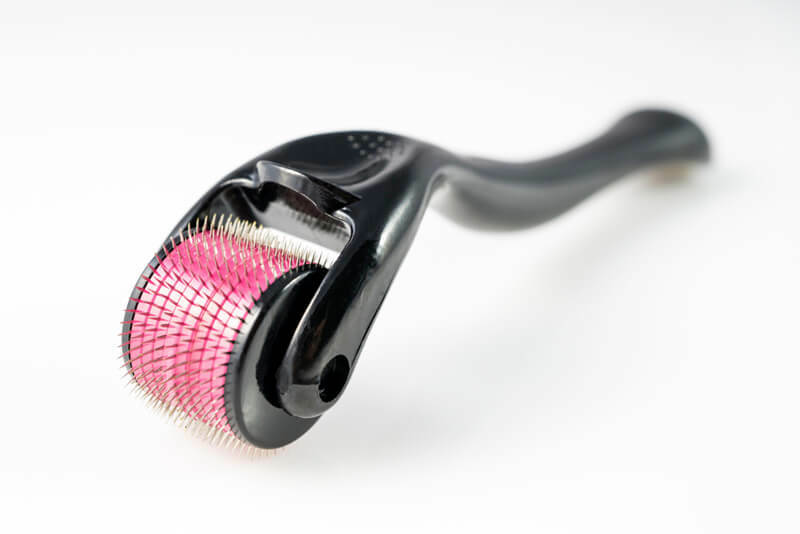 One of the best things about microneedling is you can perform it at home, with either a dermaroller or dermastamp. Both options have their benefits, though I would recommend the dermaroller for this particular use. To use, roll over the affected area of the scalp applying enough pressure to penetrate, but not enough to cause pain. Going in the same direction, repeat four times. Then, change directions and continue the process. I recommend eight directions total. Up, down, left, right, and then four diagonals. 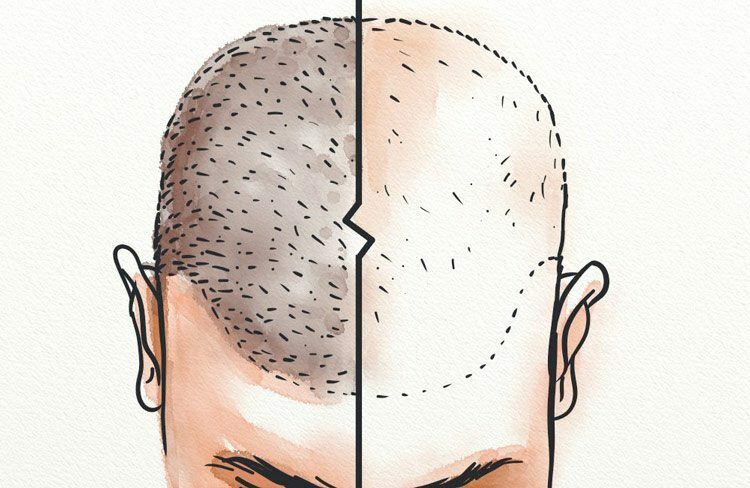 A scar left behind as a result of a hair transplant is common, but also disheartening. I recommend against a procedure such as a hair transplant, and instead suggest you take a more natural route towards hair growth. Not only can you avoid unsightly side effects like scarring, but you can also treat the underlying cause and keep hair loss at bay for the future.